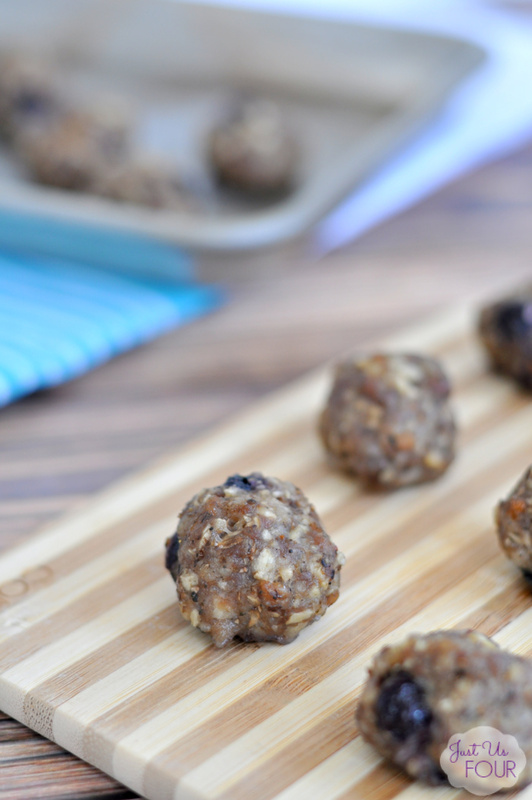 Paleo Breakfast Meatballs are the perfect breakfast option when you are at home or on the go! If you’re on the Whole30 diet, they are the perfect non-egg breakfast option! Breakfast sausage, mushrooms, onions, sage, parsnip, and blueberries make up these delicious meatballs! Happy Monday! Today I am sharing with you one of my favorite paleo breakfast ideas. Whenever I am really focusing on the paleo diet (or doing a round of Whole30), I always find breakfast a bit difficult because I can really only eat so many eggs. Plus, my breakfasts are usually on the go so I need something quick and easy. 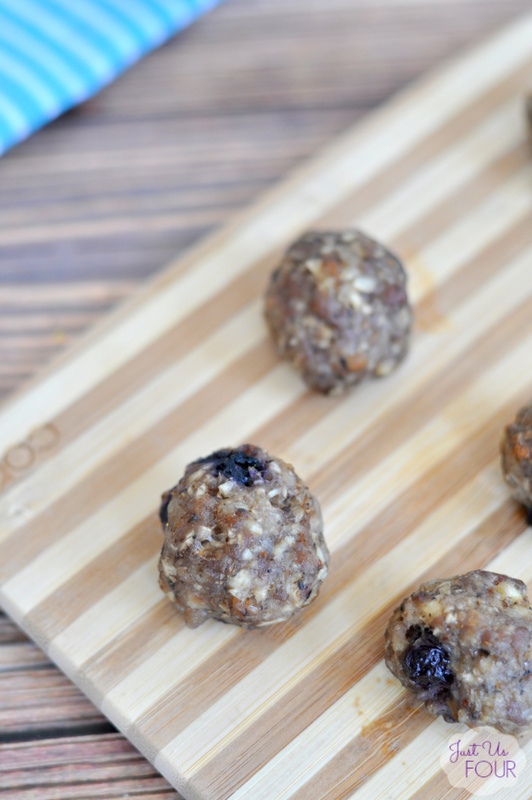 These paleo breakfast meatballs are the perfect solution! These meatballs are great combination of protein, vegetables and fruit. The blueberries might sound like an add addition but trust me, they totally work! If you find parnsips are hard to locate in your store, you can substitute additional mushrooms if you want. I am usually able to find the parsnips individually though anytime during the year. 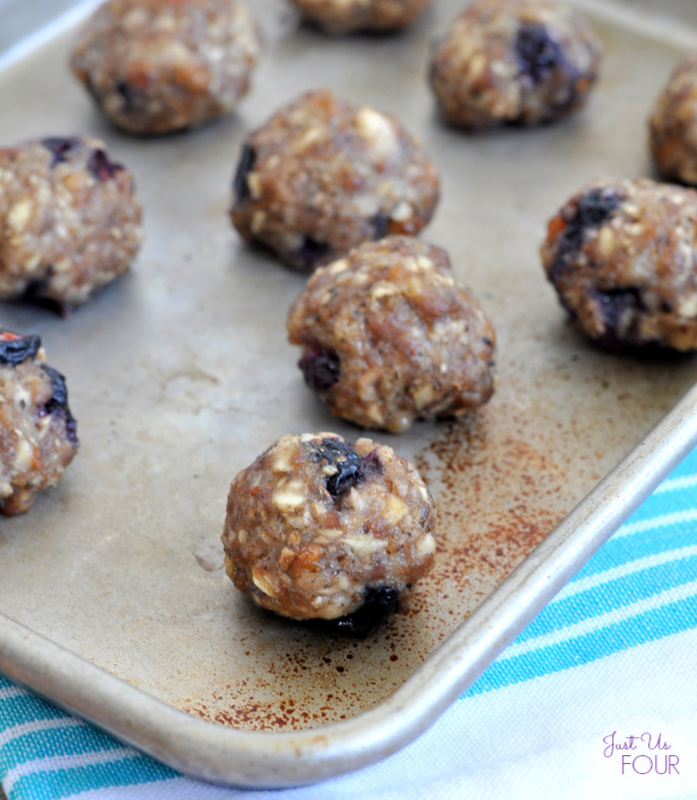 These meatballs are an awesome way to use blueberries that are almost at the end of their life too. When they start to get a little soft, I know it is time to make a batch of meatballs! 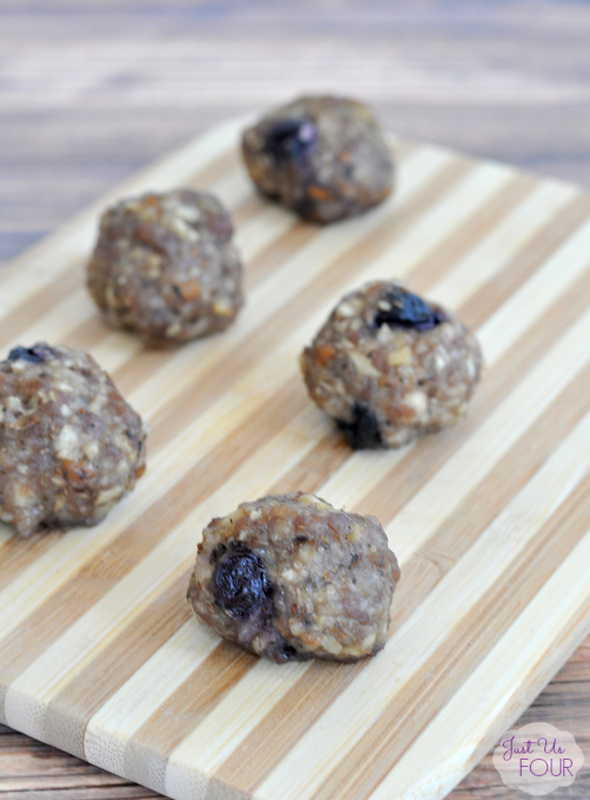 These paleo breakfast meatballs are totally freezer friendly too. Simply freeze the uncooked meatballs on a baking sheet and then transfer to a freezer bag. If you make these paleo breakfast meatballs or any other recipe from the blog, I’d love to hear about your experience. Let me know if the comments or snap a photo and tag it #MySuburbanKitchen on Instagram or Twitter. 1. Preheat oven to 375 degrees. Line a rimmed baking sheet with nonstick foil. Set aside. 3. Using a meatball scoop or spoon, form the sausage mixture into meatballs and place them on the prepared baking sheets. 4. Bake in oven at 375 degrees for 10 minutes. Reduce heat to 350 degrees and bake for an additional 10-15 minutes or until fully cooked. To freeze: Place uncooked meatballs onto baking sheet and freeze. Transfer to freezer bag or other airtight storage once frozen. These meatballs were amazing! I love how unique they are! Wow! Just shared them on Facebook. Thank you so much for posting the recipe. Thank you so much! I appreciate the share on FB too.